Business Address: Synthetic Surfaces Inc.
Norris Legue is the Synthetic Surfaces Inc. chemist who, in about 1969, developed the first one-part urethane adhesive used to successfully glue down a synthetic turf football field. 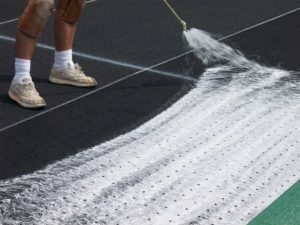 Norris concluded from his research and visits to numerous outdoor installations that, by far, the best adhesives for outdoor turf installations are one-part, solvent-based, high “green strength” (grab), moisture-cured urethanes. Oppositely, water-based, solvent-free, hot melt, two-part and adhesives that must “hydrolyze” to cure, have severe limitations. 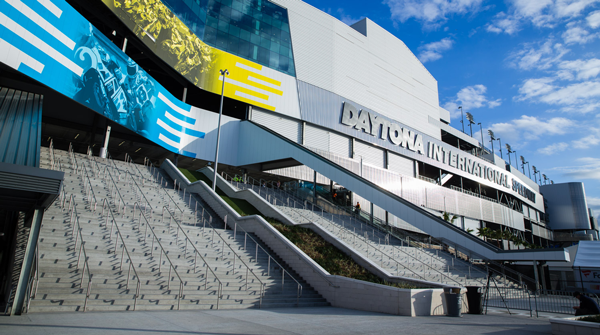 As the demand grew for superior adhesive performance and handling outdoors for successful outdoor sports surface installations, NORDOT® Adhesives’ technology was developed. 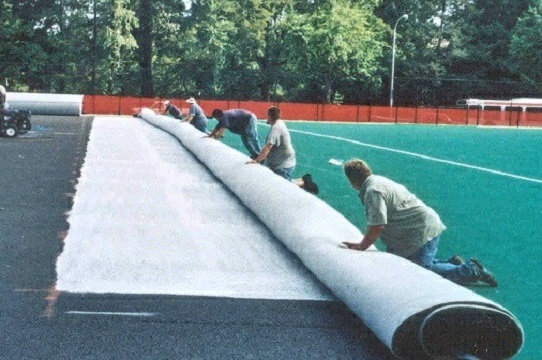 For over 45 years, NORDOT® Adhesives have become known as the Gold Standard by which all other adhesives for synthetic turf and other recreational surfaces are measured. Avoiding Problems: We do not make “commodity type” adhesives that are already available from several suppliers. Instead, we believe it’s to the user’s benefit and ours to develop NORDOT® Adhesives that cure a customer’s “adhesive toothache”. If we supply a NORDOT® Adhesive that eliminates their problem, the customer will buy it. We believe that it’s the customer’s profit from the completed installation that counts, and not the cost of the adhesive. 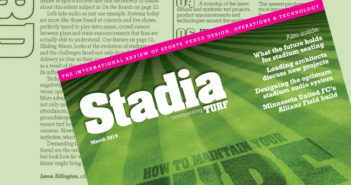 We also know that turf failures due to using low quality and cheap adhesives erode profits. For large synthetic turf athletic field projects, we think NORDOT® airless spraying Adhesives are the best for faster, more durable and more profitable installations. “Spider web” spray pattern keeps base on bottom and turf on top water permeable. 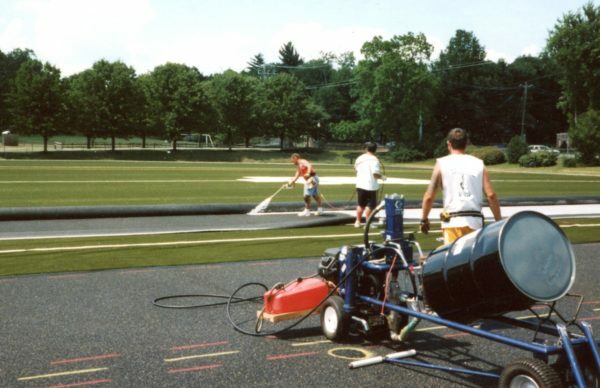 White adhesive sprayed over large area has high “green strength” (grab) and long open time for bonding turf. Airless spraying from 55-gallon drum on a portable spray rig allows for faster, easy coverage of large surface areas.